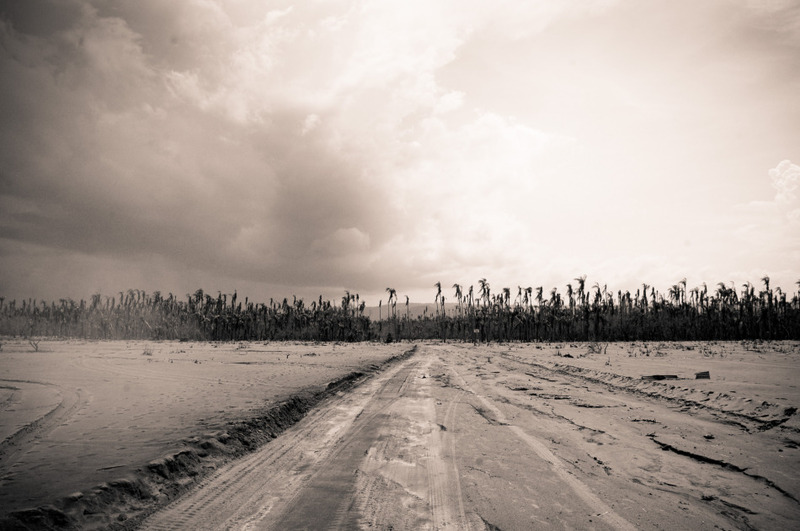 Photography: Ashes to Ashes (PNG) — Chris Phillips. Rabaul was once one of the most beautiful towns in PNG. Settled around the profitable Simpson harbour, the town enjoyed all the relaxed qualities of PNG island life, with a stable economical base from harbour trade. 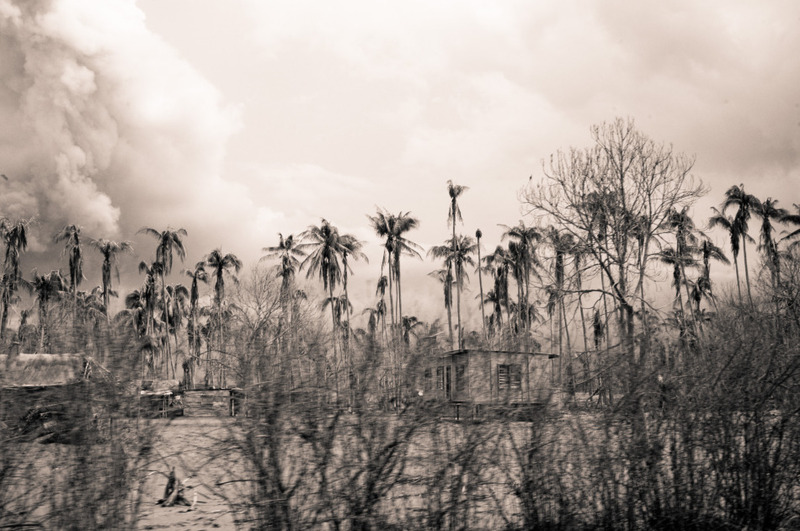 Rabaul had seen many seismic events including both world wars – first being inhabited by the Germans in WWI, then by the Japanese in WWII. 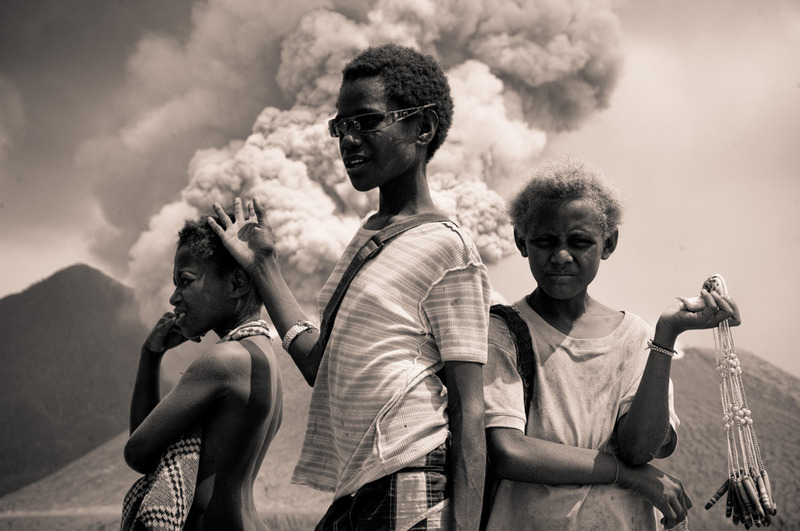 But for the locals, the 19th of September 1994 was the day this town changed forever as the twin explosions of Mt Vulcan and Tavurvur sent ash showering for thousands of kilometres over East New Britain province. 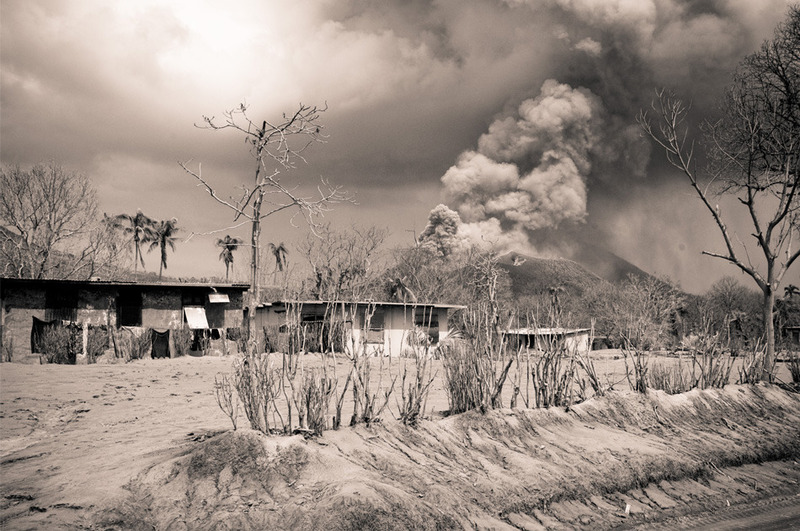 The majority of residents received enough warning to successfully evacuate before violent eruptions buried over 80% of the city, many remaining houses collapsed soon after under the accumulated weight of ash. 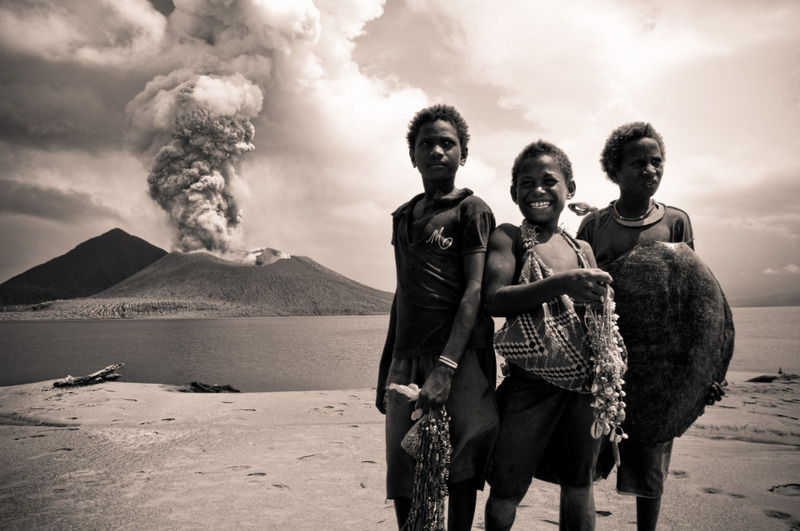 The most amazing thing we discovered in Rabaul wasn’t the volcano itself, but the town still functioning just a handful of kilometres from the smoldering crater. A handful of stubborn locals have refused to move 20kms south to the new capital of Kokopo, instead continuing to live beside the thunderous roar of Mt Tavurvur. 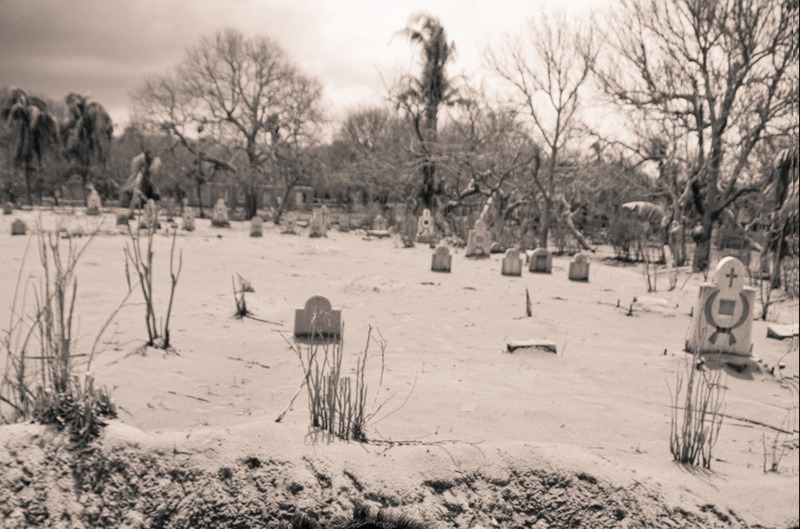 There was an inspiring contentment from those who remained who seem undaunted by the apocalyptic appearance of their neighbourhood; they live here by choice and continue to function as a community. Despite health concerns from constant volcanic ash particles present in the air, they will continue to live here and have a wonderful appreciation for the new beauty of the landscape, which they still call home.